A safety razor is used to remove hair from areas of the body in order to treat a wound requiring dressing or to shave a section of a patients body for surgery. 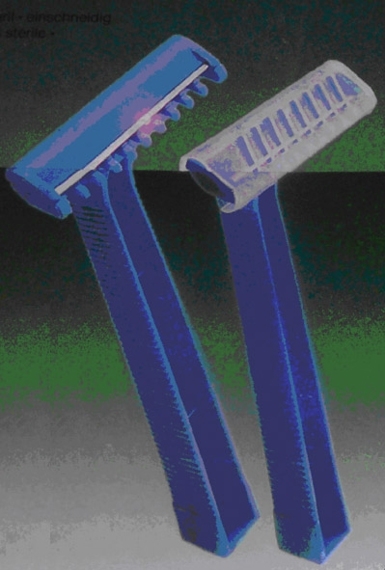 The razor is intended for single-use only; dispose after use. The razor consists of a specially-designed blade and is mounted in a plastic casing attached to a handle.